The Stila Magnificent Metals Glitter & Glow Liquid Eye Shadows are the answers to my glitter product prayers! An over exaggeration, but I've been wanting to incorporate glitter into my collection and this launch was perfect! 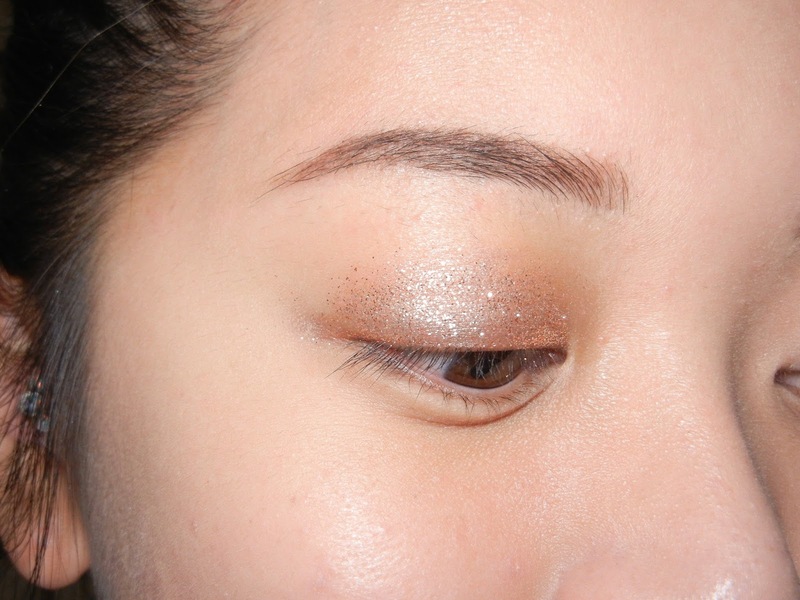 I'm a naturally clumsy person, and so loose glitters were never something I really wanted to venture in and so these liquid (but not watery) glitters were something I immediately added into my shopping cart. The two colors I'll be reviewing are Kitten Karma and Rose Gold Retro. Each tube contains 0.15 ounces / 4.5 mL and retails for $24. A little bit of a disclaimer before you keep reading - I was planning on doing more blog pictures after doing swatch pictures of both shades and so that's why the eye looks look undone. I also took too long to decide if I wanted to add more after putting down a base of Rose Gold Retro, and then it dried down faster than I could blend. 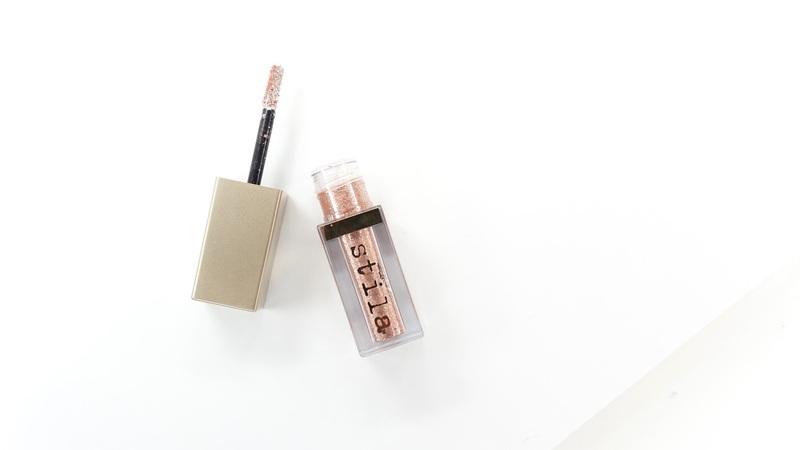 The Stila Magnificent Metals Glitter & Glow Liquid Eye Shadow in Kitten Karma is described as a being made up champagne, silver, and copper tones to it. 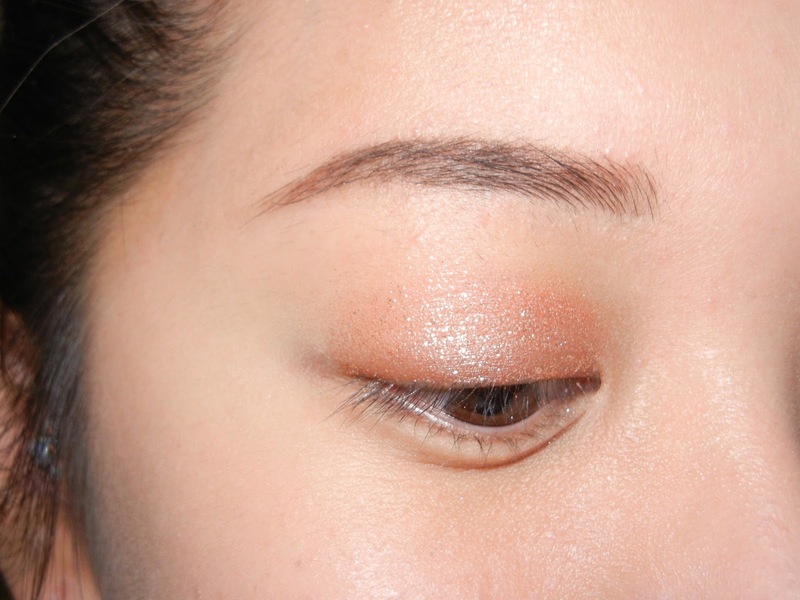 Like the original and famous Kitten shade found in the rest of Stila's collections, the base has that slightly pinky champagne base and then there's silver and copper glitter throughout the product. 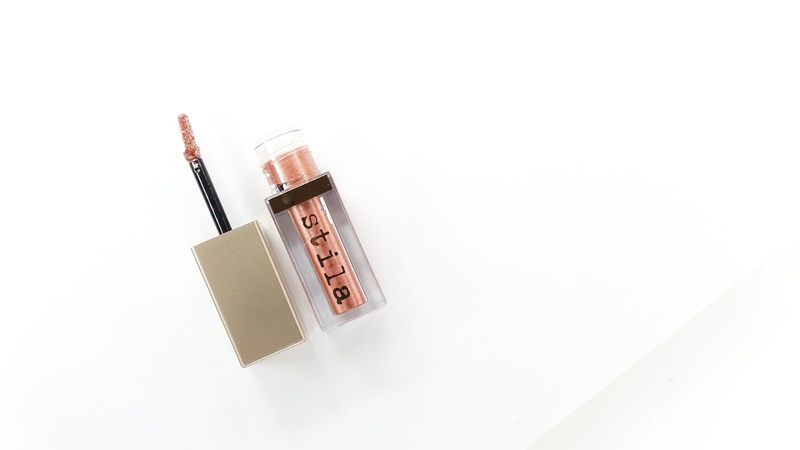 The Stila Magnificent Metals Glitter & Glow Liquid Eye Shadow in Rose Gold Retro has a copper / warm rose gold base with gun metal (more cool toned) rose gold and silver glitters. While my camera isn't doing the sparkle justice, Rose Gold Retro is a bit more tame (not really because it's still a glitter product) because the glitter and base do match together pretty well. 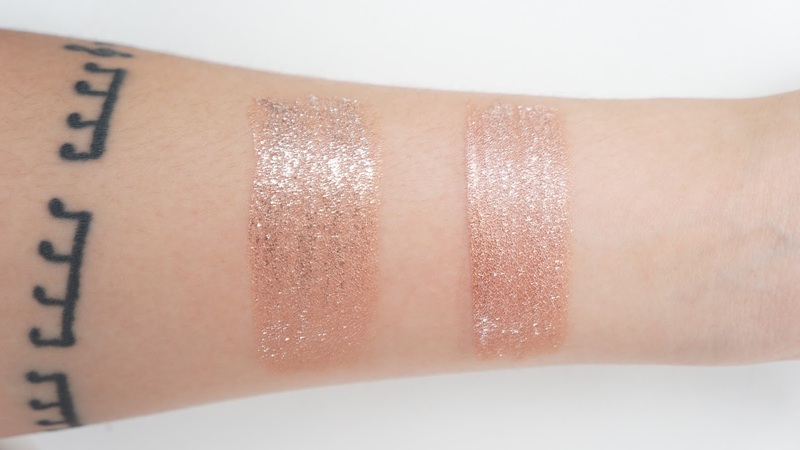 I've read some early reviews about these liquid glitter shadows and how some shades were inconsistent, but both Kitten Karma and Rose Gold Retro performed the same and were absolutely amazing. 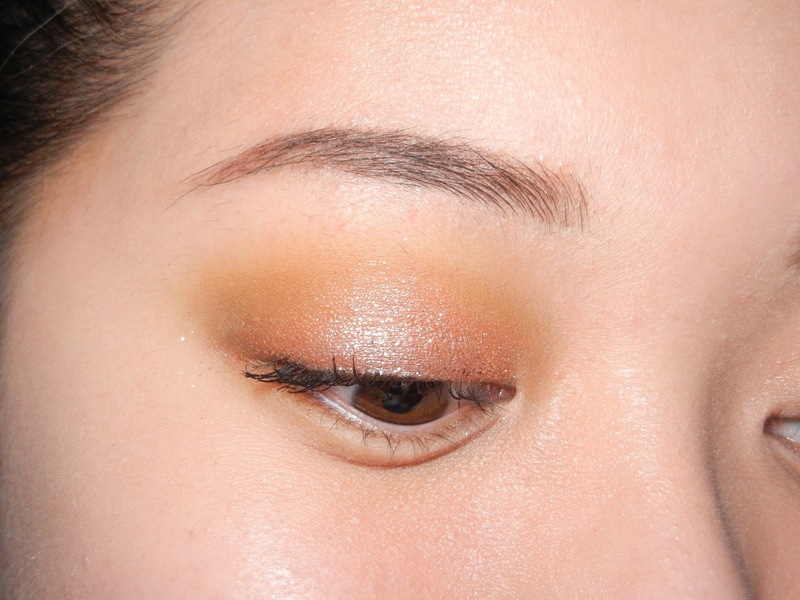 I've tried other liquid eyeshadows and they were somewhat of a struggle to use because I had to use the tiniest amount of product and super quick tapping/swiping motions to blend, spread, and dry out the product at the same time. These glitter liquid eye shadows packed a lot of punch with a small swipe as well, but they blended so much quicker and easier. I would highly recommend applying these as the last eye shadow step in your look though. I experimented using these as a base and then blending powder shadows on top and around the product, but that lead to fall out. 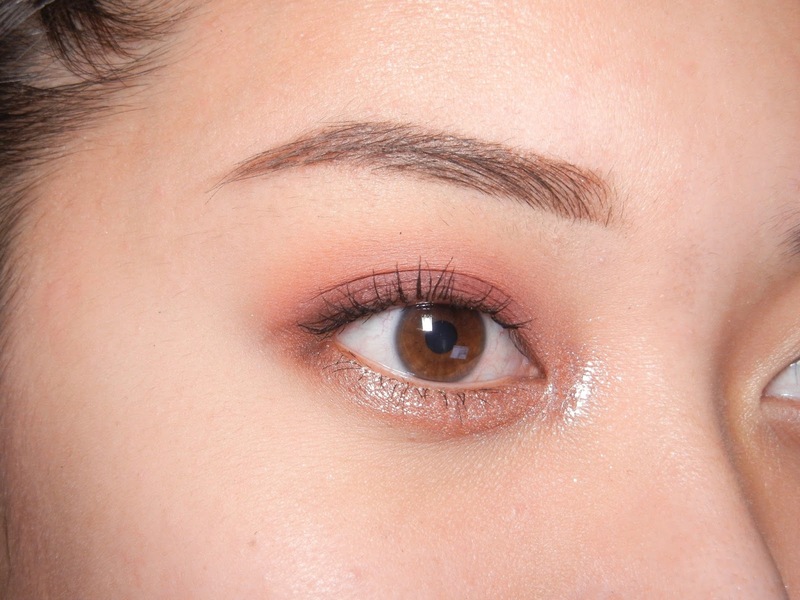 If you do need to blend out the edges more, I would recommend going slowly with maybe a tissue under your eyes. Besides that, these glitter shadows would stay on all day with the exception of rubbing your eyes. I tend to rub my eyes when I'm sleepy and that tends to mess up any/all eye product for me anyway. The wear time on these (without accidental eye rubbings) matched my normal wear time of 8ish hours and then I would see some glitters on my face here and there. There wasn't any creasing either that I could see. Final thoughts: I love these so much! Right after I got Kitten Karma, I put in another order to get Rose Gold Retro. These glitters are surprisingly easy to use as a glitter beginner and I didn't need to buy extra base or remover products to use with them as well. My only gripe with these is fall out, but I feel like that's to be expected with most glitter products. 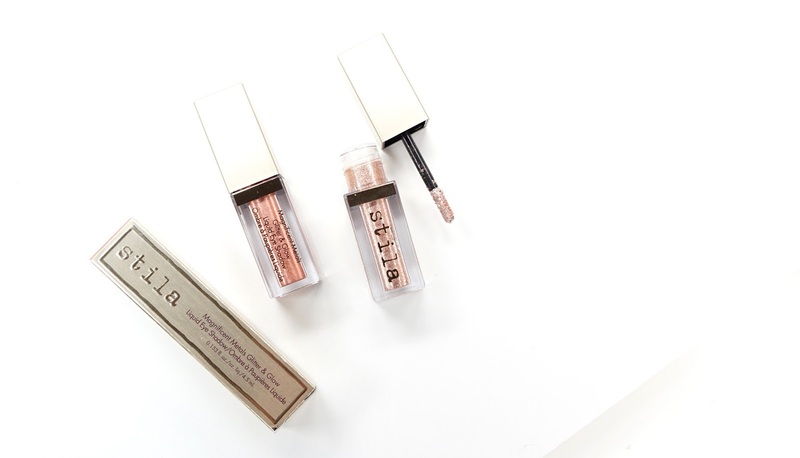 They're definitely something extra that can super glam up your look, but I've also been enjoying wearing these on the majority of my lids with a bit of a darker powder eye shadow on the outer corners. I highly recommend both of these shades and I'm looking forward to collecting more! Have you tried these out yet? What's your favorite shade in the line?